This May 11, 2017, file photo shows then-acting FBI Director Andrew McCabe prepare to testify before the Senate Intelligence Committee. 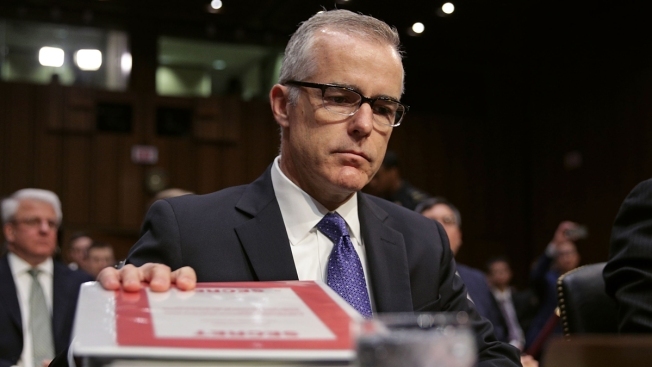 The FBI's Office of Professional Responsibility has recommended the firing of former FBI Deputy Director Andrew McCabe, who remains on the payroll — a move that could put the veteran official's pension at risk, officials familiar with the process told NBC News. The recommendation is now before Attorney General Jeff Sessions. OPR has already determined that McCabe should be fired and it's now up to Sessions whether to reverse that recommendation or to accept it. McCabe is due to retire this weekend. If Sessions were to fire him before then, it would place McCabe's federal pension at risk. 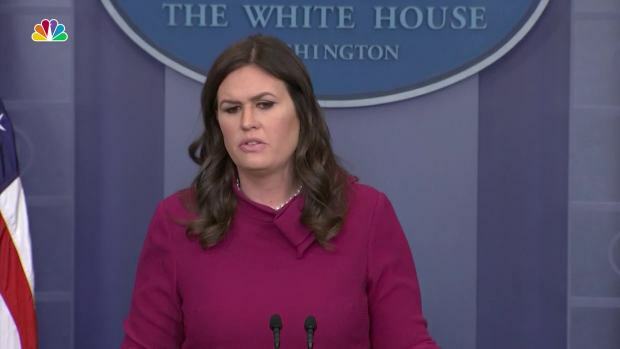 The Department of Justice won't comment directly, but did issue a statement: "The Department follows a prescribed process by which an employee may be terminated. That process includes recommendations from career employees and no termination decision is final until the conclusion of that process. We have no personnel announcements at this time."